This month’s Web Marketing Today column discusses the good, bad and ugly in the world of law firm blogging. As the bumper sticker says, “If you can read this, you must be on my blog.” Anyway, that in itself highlights one valuable element of blogging–in cross-promoting other marketing and publishing efforts. I’ve selected successful blogs in the small, medium and large law firm categories to highlight approaches and styles–from Silverberg Zalantis, Young Conaway and Reed Smith. 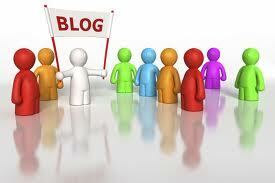 In the world of blogs, they are all operating on an even playing field. One of the ways I know that blogging is still “where it’s at” in cyberspace is simply following the steps of my long-time web collaborator Pavel Ushakov. Between Pavel and Justia’s Tim Stanley, much of the direction and advice I give myself (and others) comes from following their paths. Tim practically shamed me into getting back on the blog bandwagon. Pavel played a pivotal role in my original transformation from “marketing attorney” to an “internet marketing attorney.” We worked together on original website projects for law firms like Morgan Lewis and Simpson Thacher back in the 90s. Remember the 90s man? He was then instrumental in creating the Internet Marketing Attorney website, IMA reviews and Nifty Fifty awards for me. And in developing my original business website and blog. Of course, as one of the true web pioneers, he has bigger fish to fry than helping me–but always responds quickly whenever I shout out for help. But his focus now is on blog development and consulting with Blogconsulting.com–with “little” clients like Adobe, Time Magazine and the Harvard Business School. But he is one of the go-to guys for blogging, and knowing what will come next. Blogging is certainly not for everyone. A quick read of the WMT column should help you determine if jumping in the pool, or simply staying in the pool is right for your law practice.